The print and audiobook are now available! And we’ve launched a podcast titled Military Veterans in Creative Careers. Scott Levy did an amazing job with the narration of the audiobook. He’s a veteran and an actor, with roles in a Linkin Park Video, voicing video games such as Battlefield: Hardline, and various films. He definitely makes it worth getting the audiobok as well. 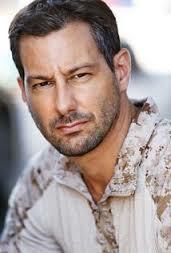 Scott Levy has starred in film, television, video games and music videos following his service as a Stinger missile gunner in the United States Marine Corps during the Persian Gulf War. On film, Scott played the lead role alongside Vanilla Ice in The Helix… Loaded, a parody of The Matrix. He has also acted in The Dentros with Mariette Hartley and John Saxon, Ayn Rand’s Atlas Shrugged: Who Is John Galt? and as a Marine in Afghanistan in The Submarine Kid with Finn Wittrock (Unbroken). On television, Scott has had roles in Sniper: Inside the Crosshairs, The Eric André Show, Crisis: New York Under Water and many others. Scott has also lent his motion capture and vocal talents to video games including, Army of Two: The Devil’s Cartel, Battlefield 4, Battlefield Hardline, Devil’s Third and Medal of Honor: Warfighter, which led to starring in Linkin Park’s Castle of Glass music video. Find Scott on IMDb at http://www.imdb.me/scottlevy. A nice review on @Apple @ibooks for Military Veterans in Creative Careers. Thanks, reader! For those who’ve served or continue to serve in the US Military and are pursuing a career or considering a career in the entertainment industry, I highly recommend downloading a copy of Justin M. Sloan’s MILITARY VETERANS IN CREATIVE CAREERS. This book functions with equal enthusiasm as both a how-to-guide and a source of inspiration through smart interviews of veterans who have found success as writers (books, games, and screen), directors, producers, actors as well as those who have made a career of helping veterans in the industry through programs like the Writers’ Guild Foundation’s Veterans Writing Retreat. No path is the same in this industry and this book certainly doesn’t provide a yellow brick road to stardom, but it may give you some insight and encouragement to take your first steps (or the next steps) if the entertainment world is the next journey you are compelled to take.